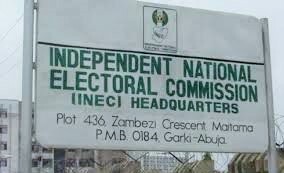 (News Investigators) /The Independent National Electoral Commission (INEC) has released the final list of the eligible candidates for the various elective positions, in the 2019 general elections, even as Social Democratic Party (SDP) flagbearer, Jerry Gana’s name is omitted. The list as tweeted from the Commission’s verified Twitter handle @inecnigeria contains the names of candidates for the Presidential, Senatorial, House of Representatives as well as State Assemblies. The Presidential candidates’ list shows 144 names comprising parties’ Presidential candidates and their running mates. In all, a total of 72 Presidential candidates and another 72 Vice-Presidential candidates are expected to run for the Presidential election. Among the names published in the Presidential list category are: President Muhammadu Buhari and Vice-President Prof. Yemi Osinbajo, who are the candidates of the All Progressives Congress (APC); former Vice-President Atiku Abubakar and his running-mate Mr. Peter Obi candidates of the opposition People’s Democratic Party (PDP). Also featured in the list are Mrs. Oby Ezekwesili of the Allied Peoples Movement (APM) of Nigeria; Mr. Omoyele Sowore of the African Action Congress (AAC); Mr. Kingsley Moghalu of the Young Progressives Party (YPP); Mr. Sina Fagbenro-Byron of the KOWA Party; and Mr. Fela Durotoye of the Alliance for New Nigeria (ANN). Mr. Obadaiah Mailafia of the African Democratic Congress (ADC); Mrs. Eunice Atuejide of the National Interest Party (NIP) also featured in the list. However, despite the recent court ruling which declared a former Minister of Information and Orientation, Prof. Jerry Gana as the Presidential flagbearer of the Social Democratic Party (SDP), both Gana and a former Cross Rivers State Governor, Mr. Donald Duke who is a rival Presidential candidate of the party are missing in the INEC final list. The INEC list also indicated that there are total of 28 women on the list either as the Presidential candidate or running mate. The New Nigeria People’s Party (NNPP) presents the youngest candidate – 30-year-old Johnson Omede. INEC has fixed the presidential and NASS polls for Saturday, February 16, while the Governorship and State Assembly polls are to hold Saturday, March 2, 2019.